The Hyatt Regency landmark hotel has long been at the cornerstone of San Francisco's dynamic waterfront neighborhood. Overlooking the Bay, this 804-room hotel with a soaring 17-story atrium lobby is a Financial District destination. Eclipse: Located in the Atrium Lobby of the hotel. Open for Breakfast, lunch and dinner. Cocktails available in the evening. 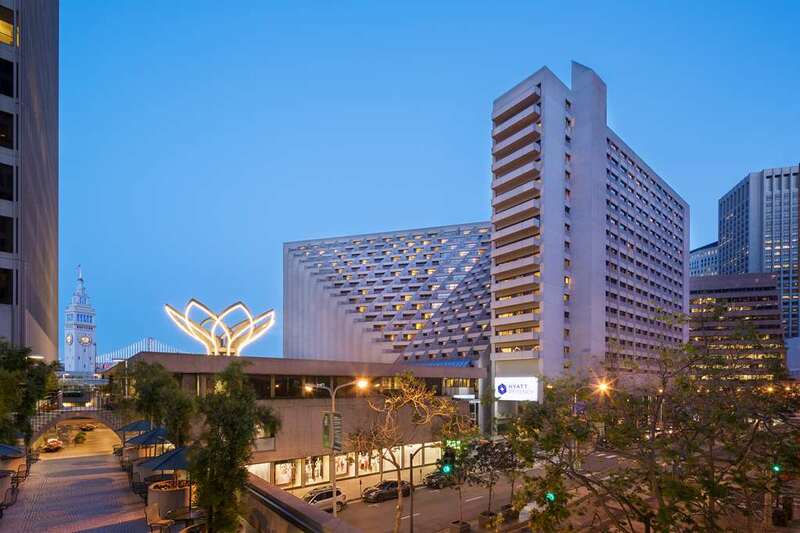 The Hyatt Regency is located on the stunning renovated Embarcadero waterfront in Downtown San Francisco. Our Financial District hotel is within five minutes of Fisherman's Wharf, Chinatown, Union Square, Moscone Convention Center, Ghiradelli Square, North Beach, and the Castro. The hotel is across the street from the Ferry Building, and steps away from BART (now runs from SFO), MUNI, world-famous cable cars and the historic F-line streetcars.